The 23rd Winter Olympics is being held in the South Korean alpine town of PyeongChang in Gangwon-do Province. Nearly 3,000 athletes from 92 countries are competing in the global sports festival. While international eyes are now on PyeongChang, attention also turns to the potential economic effects of the Winter Games for host South Korea. 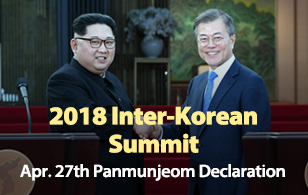 Here is Lee In-chul, director of the Real Good Economic Institute, to discuss how much of an economic impact the PyeongChang Games will have on the Korean economy. The 23rd Winter Olympics kicked off on February 9th for a 17-day run, with expectations running high for the host South Korea. The Korea Institute for Industrial Economics and Trade calculated that PyeongChang’s hosting of the Games will produce an economic effect of over 20 trillion won, which is roughly 18 billion US dollars. A more optimistic forecast was made by the Hyundai Research Institute. 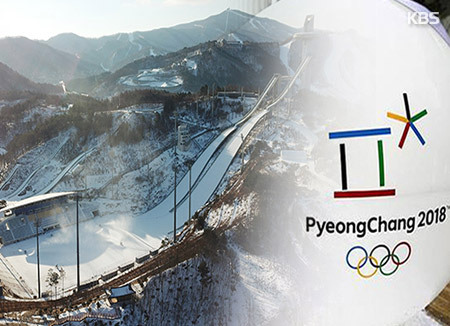 It estimated that the effect generated by the Winter Games will amount to a combined 64 trillion won or about 58 billion dollars, including 21 trillion won from direct benefits such as investment in social overhead capital and a boom in the tourism industry, and 43 trillion won from indirect ones over the next ten years. In addition, there will be invisible effects, including the promotion of the brand image of Korean companies. After the 1988 Seoul Summer Olympics, brand awareness of “made-in Korea” products improved. In the same way, this year’s Winter Olympics is expected to have a significant impact on South Korea’s national brand and local companies’ economic performance. The PyeongChang Games is forecast to bring in fresh economic momentum for South Korea through establishing infrastructure for the Olympics and attracting tourists both from Korea and overseas. More importantly, the Games will promote the brand recognition of South Korean companies and products as a result of the enhanced national image. South Korea became just the fifth country in the world to have hosted the four major international sports competitions—the Summer and Winter Olympics, the soccer World Cup and the World Championships in Athletics. With Korea achieving this “Grand Slam” of global sporting events, people the world over are expected to change their perception of the country. If the past is any guide, South Korea’s hosting of the 1988 Seoul Olympics and co-hosting of the 2002 World Cup improved the national image to help propel the local economy. The successful hosting of this year’s PyeongChang Winter Games will also influence the domestic economy positively. In the process of preparing for the Winter Olympics, South Korea built more social overhead capital facilities, which are projected to bring the expected effect of stimulating consumption and creating jobs. The Bank of Korea has recently raised the nation’s growth forecast for this year to 3 percent from the previous projection of 2.9 percent. The PyeongChang Olympics and the minimum wage hike are cited as the major reasons for the upward revision. The Olympics is expected to boost private consumption by 0.1 percentage point in the first quarter and to attract 2 million more foreign tourists this year from the previous year to raise the economic growth rate by 0.2 percentage point. There will be substantial production-inducing effects as well, including the creation of jobs. The Korea Institute for Industrial Economics and Trade estimates that the sports event will add some 230-thousand more jobs. The Winter Olympics is drawing athletes and tourists from Korea and overseas, prompting the sluggish domestic consumption to pick up steam. North Korea’s participation in the Olympics, in particular, has somewhat eased geopolitical risk factors. The positive development may help upgrade South Korea’s credit ratings. Meanwhile, local residents in Gangwon-do Province have high expectations that the Olympics will revitalize their stagnant regional economy. PyeongChang is a small town with a population of 40-thousand. But with this year’s Olympics, it will hopefully become a popular winter tourist destination. Depending on the success of the event, Gangwon-do Province could emerge as one of the world’s major winter tourist attractions over the next decade. According to the Korea Culture and Tourism Institute, more than 400-thousand foreign tourists are expected to visit South Korea during the Olympic period, when foreign visitors are estimated to spend some 400 billion won or about 360 million dollars. The government and the PyeongChang Olympic Organizing Committee will keep the positive momentum alive even after the Olympics to encourage investment and record a surplus in tourism. In fact, a number of wonderful ski resorts are situated in the mountainous PyeongChang area, which is famous for a variety of tourist attractions. Through the Winter Games, the area will be known to many more people both in Korea and abroad. Until the 1960s, the Japanese city of Sapporo was a rural city with a population of 520-thousand. But it became a world-famous tourist destination after hosting the 1972 Winter Olympics. Salt Lake City in the U.S., which hosted the 2002 Winter Games, generated considerable income by building three new facilities and renovating eight existing ones for the Olympics. On a similar note, PyeongChang could make its name as a popular winter tourist attraction visited by people from around the world, depending on the success of this year’s Olympics. But there are concerns over the possible negative impact of the event. Some domestic research institutes have positively assessed economic benefits from the PyeongChang Olympics, but outwardly, there are negative assessments as well. U.S.-based business magazine Forbes recently painted a negative outlook on the economic effects of this year’s Winter Games. It says that there may not be much cheer in the Olympics in an economic sense, citing low ticket sales, a small and unfamiliar town of PyeongChang and South Korea’s relatively poor environment for winter sports. PyeongChang has poured 800 million dollars in improving sports facilities alone since 2003. If the facilities are not used properly after the Olympics, it will cost a lot to just maintain them and place a burden on local residents in the small county of PyeongChang. The Japanese city of Nagano posted a surplus of 10 billion yen when it hosted the 1998 Winter Games. But it invested a massive amount of money in building various facilities. As a result, local residents had to take on debt of 3.56 million yen per person. Compared to previous Winter Olympics, the PyeongChang Games has less of a financial burden. The four most recent Winter Olympics cost an average of about 3.3 billion dollars. But PyeongChang lowered the cost of constructing stadiums to 790 million dollars by using six existing stadiums, while building six new ones. Still, there is a long way to go before this year’s Games will prove to be successful economically. Korea needs to continue to draw foreign tourists after the Olympics. As a matter of fact, not many countries have made their Olympics a profitable event. The 2002 Salt Lake City Olympics was the only Winter Games to get out of the red. Some predict that this year’s Winter Olympics may also suffer a deficit. The 2014 Incheon Asian Games brought about massive debt to the local government, and Brazil was also hit by debt after the 2016 Olympics in Rio de Janeiro. The key is how to manage the facilities efficiently after the Olympics. After the Albertville Winter Olympics in 1992, 14 nearby villages, including Brides, where skiing events were held, went bankrupt due to excessive investment. South Korea needs to learn a lesson from the cases of failure and find out ways to make a good use of Olympic facilities over the long term. The various effects of hosting the Olympics will be felt after the event for a long period of time. The nation should hopefully keep the current upbeat momentum afloat even after the Olympics to achieve another economic take-off.